During their month-long residency in the Twin Cities, Patty Mitchell and Robert Lockheed will work with art community leaders, art centers, and teen artists on a collaborative artwork that will include contributions from across our cities and build to a culminating co-created Northern Spark event. 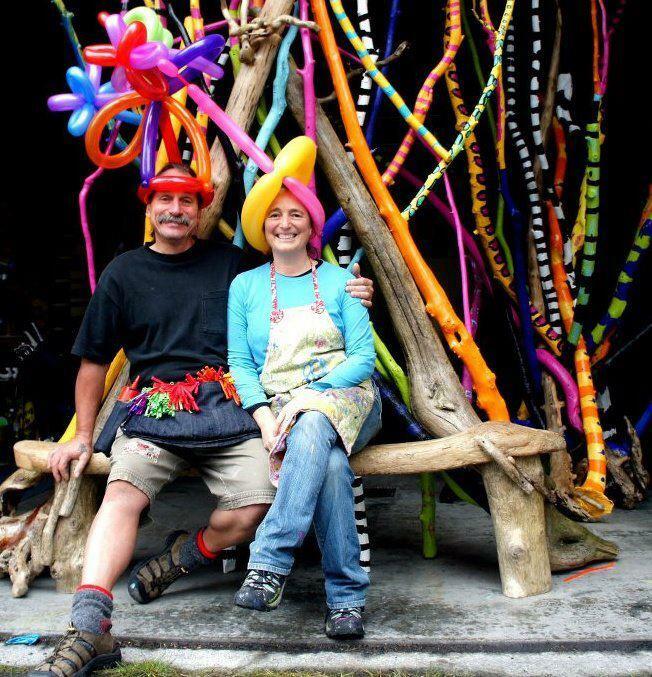 The artists have an infectious spirit that feeds their creative environments and installations, all of which include recycled and donated materials. Think balloons, quilts, painted fabrics, sewing stations, and giant installations. Come and be involved! Patty Mitchell is an artist and social entrepreneur. For twenty years she has facilitated collaborative projects nationally and internationally with a focus on working with artists with developmental disabilities. She is passionate about exploring her own and others’ obsessions and making collaborative artworks. She founded Passion Works Studio in Athens, Ohio, which makes site-specific works, fine art, and art products, and also generates employment opportunities. She received her MFA and BFA in photography from Ohio University, where she was named a Distinguished Alumna. league baseball parks. He has been an organic farmer and massage therapist, and worked with hospice care, providing relaxing touch to clients. During the past two years he has returned to art making: he partners with Patty Mitchell to collaboratively facilitate art programming through Norwich Consulting Services, specializing in working with people with developmental disabilities.